Guard yourself from the blows of the enemy with this excellent LARP breastplate! 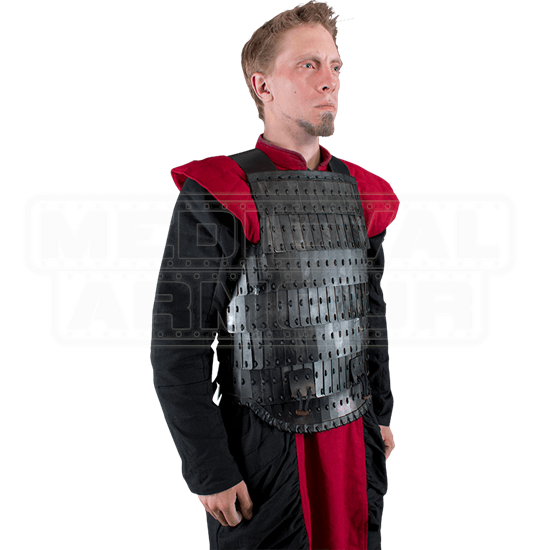 The Steel Ratio Lamellar Armour covers your torso with overlapping metal panels that give the armor a scaled or patterned appearance. The metal features a darkened finish that retains a subtle gleam. Made from 19 gauge galvanized mild steel panels with top-grain leather fittings, this torso armor offers great protection and a distinctive look. 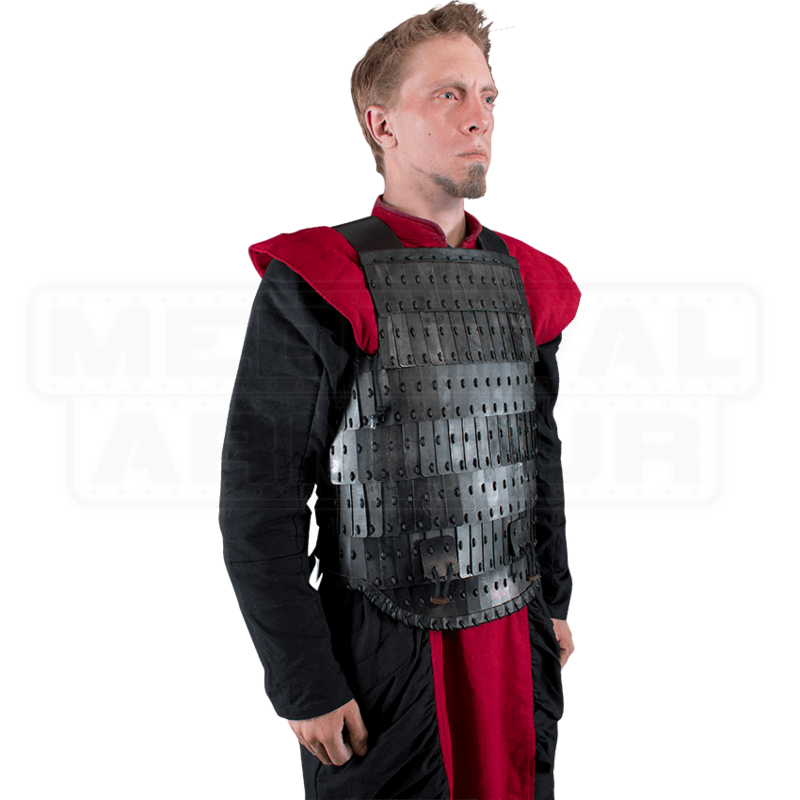 Perfect for Asian and Roman warrior ensembles, this layered steel armor goes great with other pieces of our roleplaying protective gear.